Haven of peace in the Baie de Somme; Into the wild! 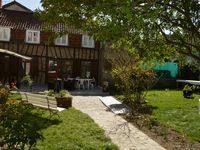 Property 5: Haven of peace in the Baie de Somme; Into the wild! Property 45: Village Location,peaceful Setting In Private Grounds, Ideal Touring Base. Zeer schone compleet ingerichte studio met alle denkbare voorzieningen. Zeer hulpvaardige eigenaren. Saint Vallery sur Somme op 10 minuten rijden. This charming cottage was immaculately clean and stocked for every need, including small children. The cottage garden was lovely and we enjoyed an aperitif on the patio. 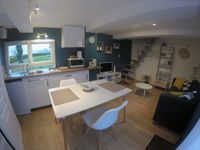 Convenient to central Amiens, a five minute walk to the Cathedral d'Amiens and close proximity to several war memorials in the countryside. Thank you for sharing your lovely cottage.